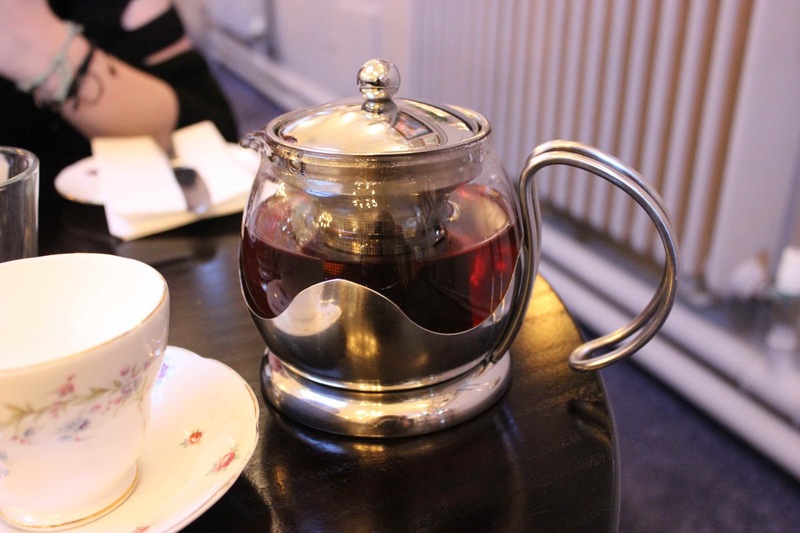 If, like us, you have decided against January dietary resolutions thanks to a mountain of excess chocolate still in your cupboards post- Christmas, we can highly recommend beating the January blues by taking some time out for afternoon tea. 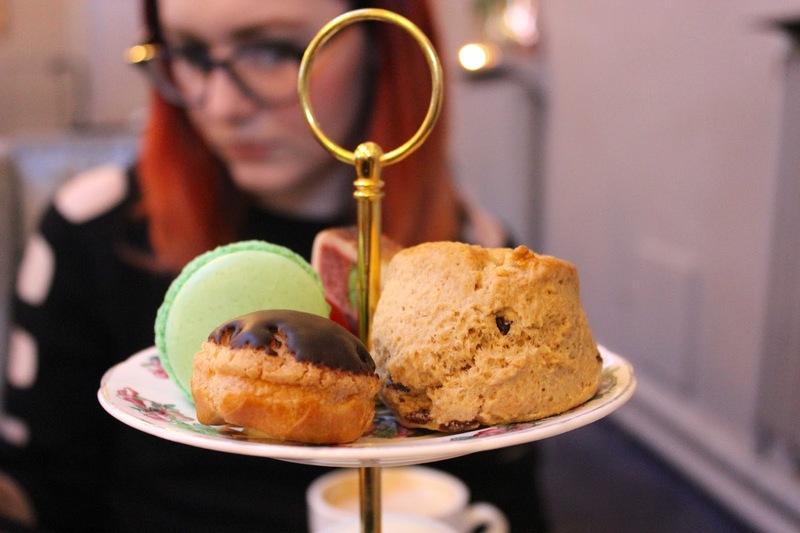 Last weekend, we took heed of our own advice and ventured to The Courthouse Hotel in Knutsford, but despite being a literal former-courthouse, this is not a place to be judged for indulging your cake-loving sins. 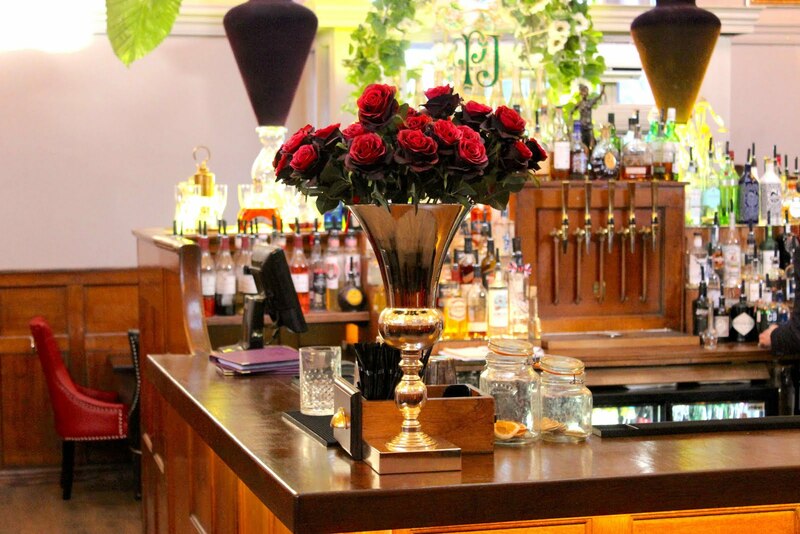 The Courthouse is a beautiful venue and in keeping with its foundations, dining takes place within the docks with an impressive bar as the focal point. The walls are covered in a sprawling collection of artwork, and if you look closely, some incorporate cool imagery of famous mugshots such as that of Elvis and even those of fiction, like Sirius Black - just our kind of place. 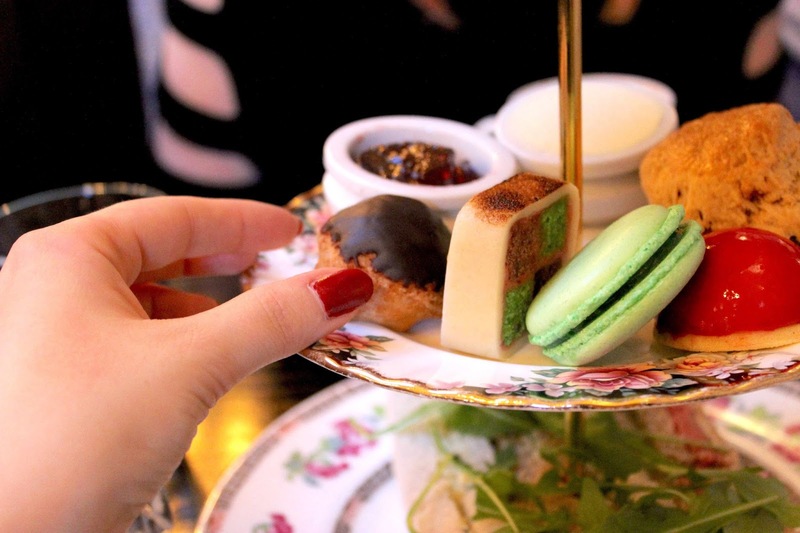 The venue offers several afternoon tea options. We went for traditional, served on pretty, mismatched floral tableware, but for those more adventurous, there are alternatives that include champagne and another that has been inspired by the current trend for gin. Despite not being massive gin fans ourselves, we can imagine that one goes down a treat. To begin, finger sandwiches arrived perfectly fresh and came with four different fillings on a couple of different breads; salmon and crème fraîche, beef with horseradish, egg mayo, and cheese and onion. A good balance of fillings, and we’re always happy when salmon is on the menu. A good intro. Next, despite taking our usual long break to take photos, the scones were still warm when we eventually tucked in and served with good amount of jam and cream. Plus, they were lightly spiced which we can assume has been adopted from their recent Christmas menu offering. Delicious. Finally the pastries were also channelling a winter vibe thanks to a colour palette of greens and deep reds. We each had a green apple macaroon, chocolate orange profiterole, miniature battenberg, and berry mousse dome. The profiteroles were a favourite, a nice seasonal twist on the much-loved dessert, alongside the berry dome which was tart but complementary to the rest of the pastry flavours on our plates. Finally we washed this all down with a few cups of coffee and a generous pot of earl grey, and were left feeling pleasantly full, not wanting to move from our gorgeous surroundings. 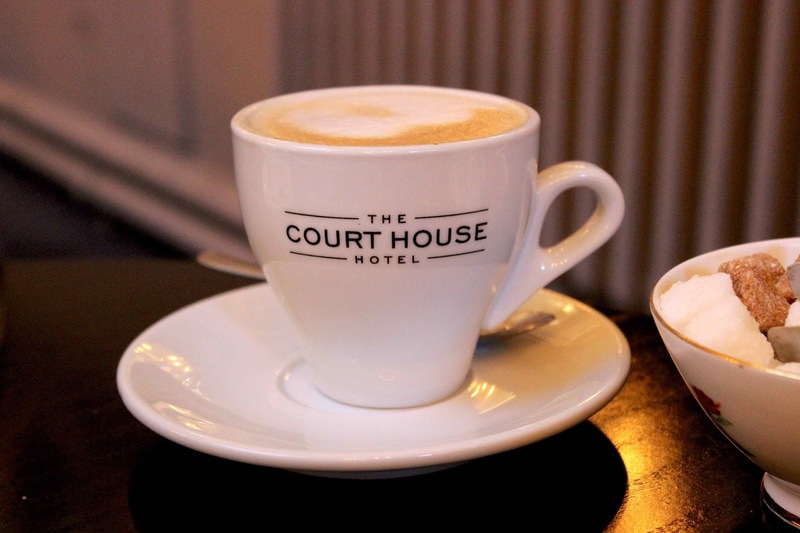 At £15.95 per person, traditional afternoon tea at The Courthouse is a steal, and if you're feeling the pinch in the wait between Christmas and January paydays (don't worry, we feel your pain! 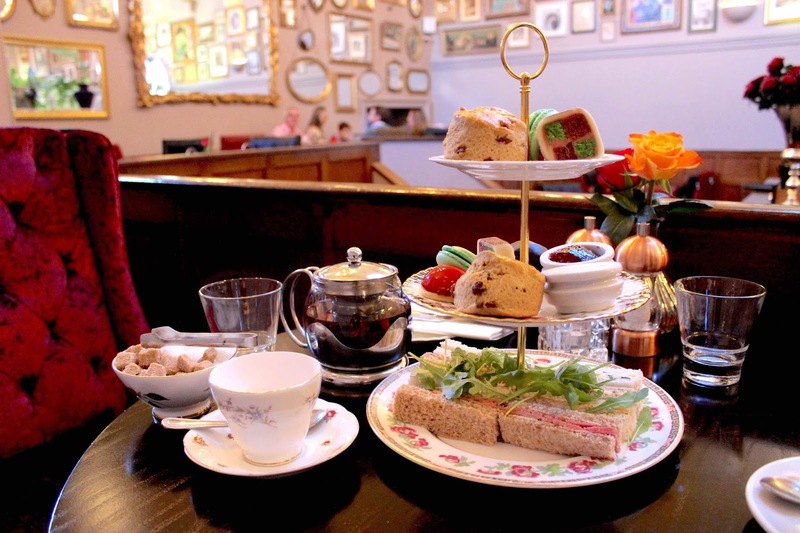 ), the venue is offering 2 for 1 packages on afternoon tea until the end of the month. Bargain! 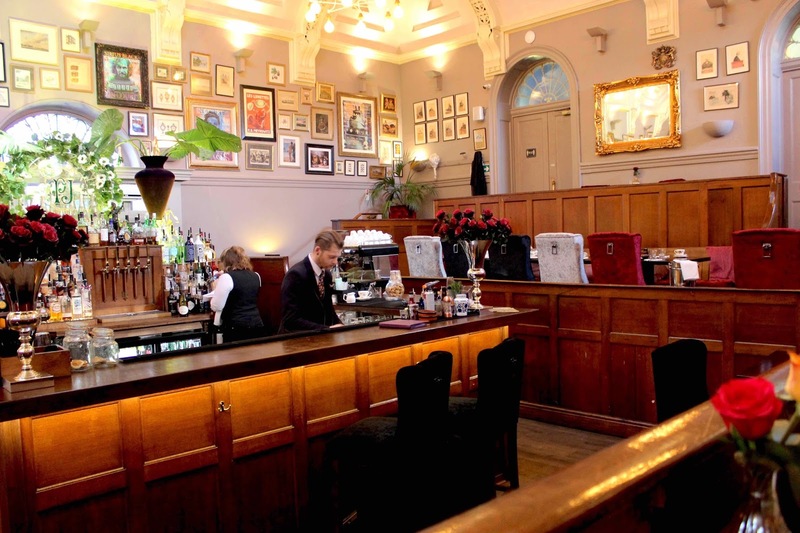 Overall we loved our afternoon at The Courthouse, the venue is beautiful with its subtle balance of tradition and quirkiness, and the food is fab. If it's a January pick me up you're after, you will find it here. Wow, what a bargain. It looks great too. It's so reasonably priced - Definitely worth a look in!